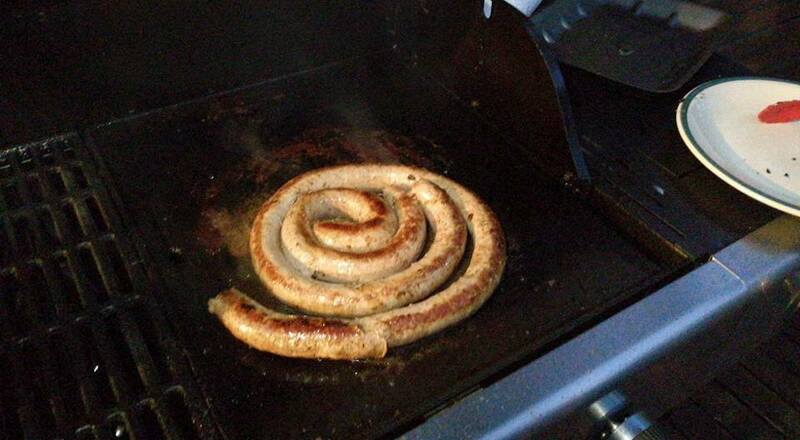 Kennedy claims latest in Sausage Series!! Amidst the smell of biltong (South African jerky), boerewors (‘farmer’s sausage’), Babotie (Cape Town Malay curried rice) and a host of other South African dishes, the inaugural “Boerewors Cup” was played on Friday night, the 2nd installment of the unofficial Northern Falcons’ “Sausage Series”. 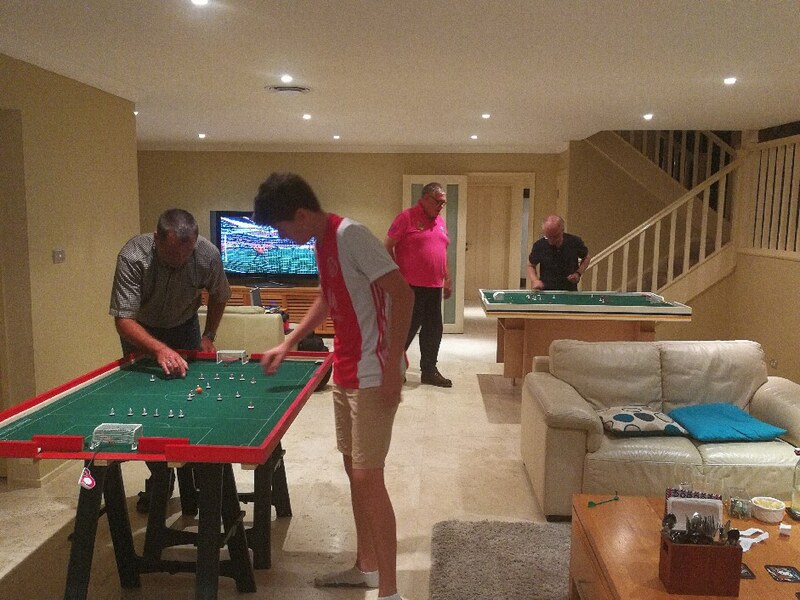 The mini-tournament consisted of 6 players split into 2 groups of 3, with semi-finals and a final. Group A consisted of Hermann, Neil and Steve, whilst Eliot was with the two juniors, Oli and Jonty, in Group B. Group A got off to an uneventful start with Neil and Steve playing out a goalless draw. Hermann and Steve then played out a 1-1 draw, meaning all 3 spots were up for grabs in the final game. Hermann however, stepped up a gear to put 4 goals past Neil to secure top spot in the group, and qualification for the semis along with Steve. Group B started with Elliot, who by his own admission wasn’t at the top of his game, grinding out a 2-0 win against Oli with a goal 5 seconds from the end securing the result. In the rematch of last month’s Asian Cup junior semi, Oli dominated possession, but was unable to put a goal past Jonty, who was also unable to convert any of his few counters, with the game ending in the night’s second goalless draw. 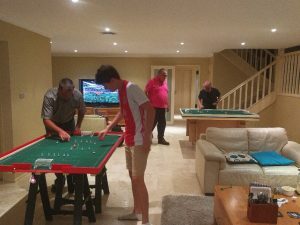 The final game saw Jonty against Eliot. Eliot (perhaps feeling the effects of a couple of glasses of wine), struggled to break through in the first half, but found the net in the second, 1-0 the final score. This meant that Elliot’s late goal against Oli saw Jonty progress on goal difference. 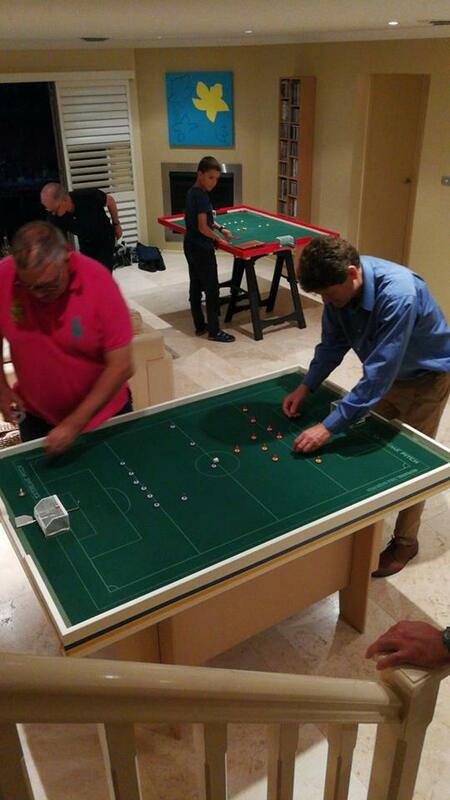 The semis saw Eliot defeat Steve in tense affair 1-0, with both players having their fair share of chances. Meanwhile on the other table, Hermann struck every square inch of the bar and post, but was unable to get the ball into the back of the net, the match headed to dreaded shots. Jonty took the lead early, Hermann hit the bar (once again), and the win was secured with a driven shot across the goal, meaning Jonty had qualified for his first WASPA final, without scoring a single goal in regulation time!!! Eliot grabbed an early goal in the final, and from then on, it was all one-way traffic. 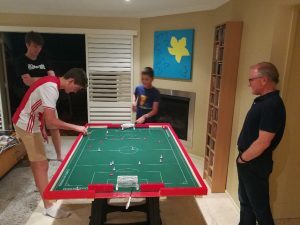 Eliot’s experience shone through as he put 5 past a hapless Jonty, claiming a resounding 5-0 victory, and in the process winning the 1st ever ‘Boerewors Cup’. Thanks to everyone for making the night such an enjoyable one, and hopefully nights such as this one aren’t just a one-off. This entry was posted in News on 04/02/2018 by Steve Dettre.